We are your one stop graphics shop for all lobby and reception area style signs, corporate identity displays, and 3D business logo branding signage. 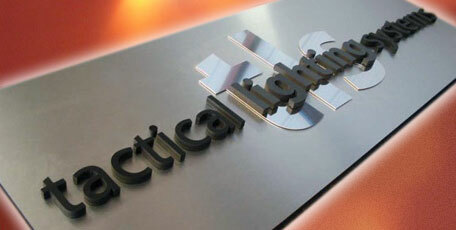 cnc routed logo, and high resolution digital. The unit was "float mounted" with chrome hardware. We are a truly unique graphic design houses in that all production stages of our unique lobby displays are performed in-house. 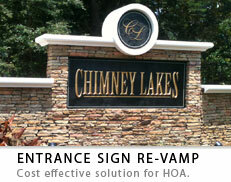 Our 37,000 square foot facility houses master sign artists in every area of lobby style reception displays. Award winning graphic designers take or create your corporate identity and offer suggestions that will minimize costs and maximize complements. The Art of Signs stocks an endless supply of sign materials, and is always up to date with the latest sign industry technologies. We have individual departments for each business reception style display project production process - fabrication, finishing, shipping, storage and fulfillment. We have your every need, and all under one roof. The best place to start your project is to visit the Lobby Displays Portfolio section of this site. While this site contains dozens of examples of our completed lobby display and unique identity sign projects, please be sure to check out the CNC Lobby Displays and CNC Channel Cut Signs sections of our online portfolio. SignPortfolio.com contains HUNDREDS of completed lobby display project examples we have currently installed around the globe. Feel free to reference ANY lobby display project examples that caught your eye, and reference when Requesting an Estimate. For more general information about custom cnc routed lobby displays, other computer routed signage, and our hand-carved sign solutions, please select a category to the left. 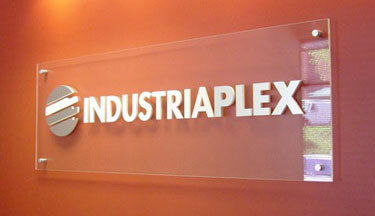 This site is one of several we have developed and maintain specifically for the unique field of custom reception, corporate identity sign style projects in the Graphics and Sign Industries. 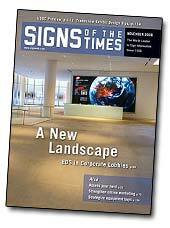 of Signs Of The Times Magazine! We at The Art of Signs thank you for your interest. Over many years, we have fine tuned the entire process for online ordering custom lobby displays and other dimensional signage projects. From concept to completion we have you covered, and will make you look fantastic! 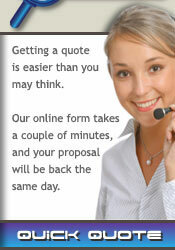 You will find us a pleasure to work with - you are in good hands.